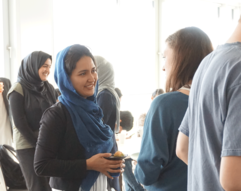 The Center for International and Intercultural Communication (ZiiK) offers a platform to work on international and intercultural issues in the area of information and communication technologies (IT). 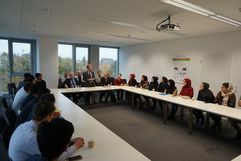 Welcome Master's Group of 2018! 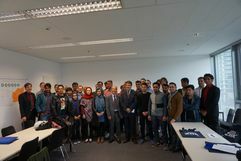 The ZiiK is very happy to welcome the fifth generation of the Computer Science Master's Program for Afghan lecturers at TU Berlin. 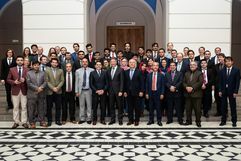 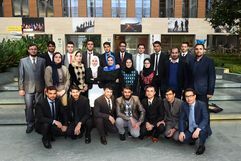 The 25 Afghan students began their studies on October 29th, 2018. more to: Welcome Master's Group of 2018! 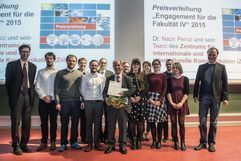 ZiiK receives price for "Engagement for the Faculty IV"
At the Graduation ceremony on 4th December 2015 Dr. Peroz and the team of the ZiiK received the price for "Engagement for the Faculty IV". 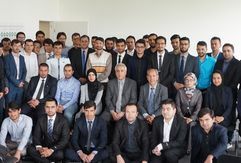 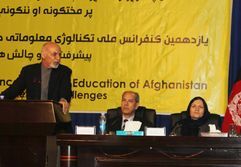 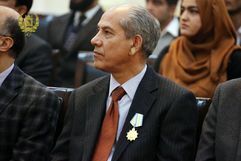 On the one hand the ZiiK is involved in the support of foreign students at the faculty IV and on the other at the setup of digital infrastructures at Afghan and Iraqi universities. 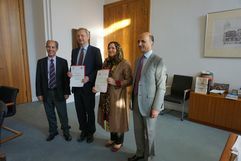 more to: ZiiK receives price for "Engagement for the Faculty IV"